Due to high demand and ingredient availability, order turn time *may* be slightly longer, but worth the wait. I love my frosting. The texture and scent is awesome. This scent is the bomb!!! I'm going to order the body wash and body oil to go along with the body frosting. My first experience with Sugar Mama was in a deodorant. I fell in love with the scent. I'm not sure why I am just now trying it in body frosting but I absolutely LOVE IT. All of the body frostings are winners because it leaves your skin feeling so smoothe! It puts me in mind of cotton candy with a dab of sandalwood maybe, I don't know. It's just GOOD!. It is definitely on my list of staple items to keep on hand! I love it. I love the scent too. I have very dry hands and this is a wonderful product to restore moisture. I also love the scent and can mix it with my other fragrances for a nice and unique scent. I love this product! It smells refreshing! I get MANY compliments! It last ALL DAY LONG! Ginger peach is one of many shea whip body frosting products that Bubble Bistro has to offer that I absolutely LOVE. It definitely was a hit at my Art gallery showing last night. I couldn't finish talking about one of my pieces before someone was asking me what Perfume I was wearing. 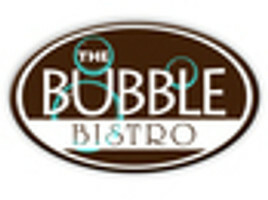 I was proud to say it was a all natural product you could only get from Bubble Bistro. It gave me the extra confidence I needed to rock my night. Sugar Mama whipped body butter is amazing. I'm a first-time customer ISO the perfect body butter and this may be it. I wish Bubble Bistro was in DC b/c I wanna smell all the scents that this body butter comes in. My dry skin is smoothed out perfectly and feels silky to the touch even a day after! So awesome! This product is one that I use daily, it is very delicate but noticeable. I get compliments on how soft my skin is and how good the product smells. First of all , I was initially disappointed because I ordered the Magic scent, which took a while to receive because it was custom made, after speaking to the owner personally she assured me I would have my order by the weekend, which was in 2 days. I did not see how she was going to pull it off, but she did. I'am very satisfied with my purchase , the customer service was ultimately Excellent, and I'am getting ready to place another order as a gift!!! the scents I've tested so far are lasting and and smell nice!!! I am really enjoying my new fragrances. Every frosting or body butter that I have ordered, I have enjoyed.It leaves you smelling better than a rose and feeling soft.